Book now transfer from Crete Chania airport. Chania is the western most side of Crete, Chania is a wonderful place for vacations. The Town is a romantic place to stroll around, with Medieval architecture, elegant mansions and a wonderful Venetian port, the most famous spot of the town. 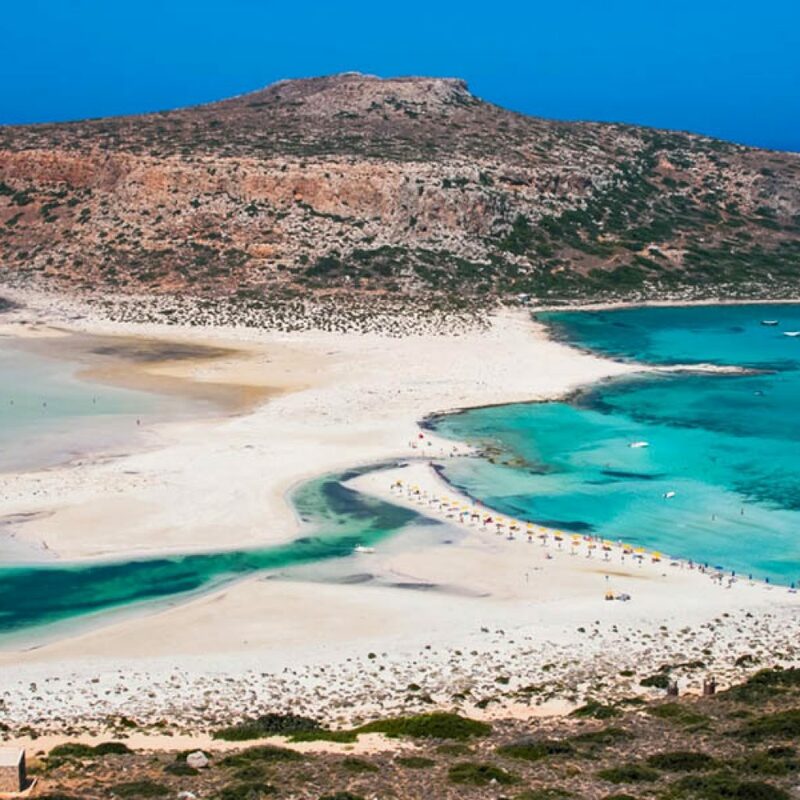 In close distance to Chania Town, there are many tourist beaches and hotels. 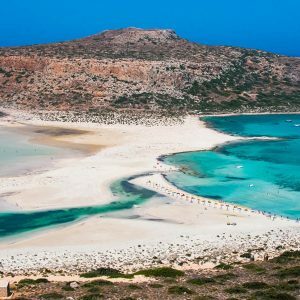 However, you should not also miss excursions around the region to discover the fabulous spots of Chania: Balos, Elafonissi, Paleochora, Sfakia, Falassarna and Samaria Gorge. All beaches have crystal water and each one offers a unique experience, from the most tourist to the most secluded beach. The natural beauty of the area is breathtaking. Chania in Crete is located on the westernmost side of the island. 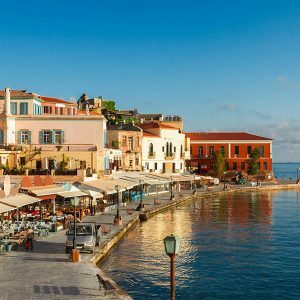 Although some places have developed in tourist resorts, most beaches and villages in Chania keep their authentic style. The northern side is more developed and lined up with luxurious tourist resorts and organized beaches. This is where the most popular beach villages of Chania are found. On the contrary, the southern side is secluded and more traditional, with small seaside villages and unorganized beaches. Due to the long history and rich culture, the region of Chania keeps evident its traditional architecture. A walk in the Old Town with the intense Medieval architecture is a walk back in time. The Venetian port of Chania Town is the most characteristic spot of western Crete. Holidays in Chania combines relaxation in amazing beaches, historical visits and experience of authentic life. Transfers from Crete Chania airport (CHQ) to Agios Nikolaos city centre, Agios Pavlos (Rethymnon), Akrotiri (Crete), Almirida (Chania). More limousine, taxi transfers see below. – upon arrival at Crete Chania airport (CHQ) please look for your driver, who will hold a personal waiting sign with your name on it. – if you did not pay in advance for your airport taxi transfer, please pay to the driver with the local currency.